Marie de Guise lived from 22 November 1515 to 11 June 1560. She was the daughter of Claude, Duke of Guise. At the age of 19 Marie married Louis of Orleans, Duke of Longueville and the following year they had a son, Francis. On 1 January 1537, Marie attended the wedding of James V of Scotland and Madeleine de Valois, the daughter of King Francis I of France. On 9 June 1537, Marie's husband Louis died, and on 4 August 1537 Marie gave birth to her second son, named Louis after his father. The wider picture in Scotland at the time is set out in our Historical Timeline. Meanwhile Madeleine de Valois had died in July 1537 and James V renewed his search for a bride capable of cementing the ties between Scotland and France. Marie de Guise was the obvious candidate and James V asked Francis I of France for Marie's hand in marriage. Henry VIII of England sought to prevent what would be a dangerous alliance for England by himself asking Francis I for Marie's hand. Marie, who was by now also grieving the loss of her youngest son Louis, did not relish being the focus of a diplomatic argument that could easily have led to war. The King of France accepted the proposal of James V of Scotland, and James overcame Marie's reluctance with a letter in which he tried to, in modern football parlance, "agree personal terms". Marie was married by proxy to James V on 18 May 1538 at Notre-Dame de Paris, and sailed to Scotland, where she and James were married in person at St Andrews in June 1538. Marie was crowned Queen Consort at Holyrood Abbey in Edinburgh on 22 February 1540. But that was not what happened. Marie married James, and they had two sons, James and Robert, who both died in infancy. Their daughter, Mary, was born on 8 December 1542 at Linlithgow Palace. On 14 December 1542, James V died, leaving their infant daughter to become Mary Queen of Scots, and Marie de Guise as Regent of Scotland. At the age of 27 she had been married twice, widowed twice, lost four children in infancy, and now found herself ruler of a foreign country on behalf of her baby daughter. 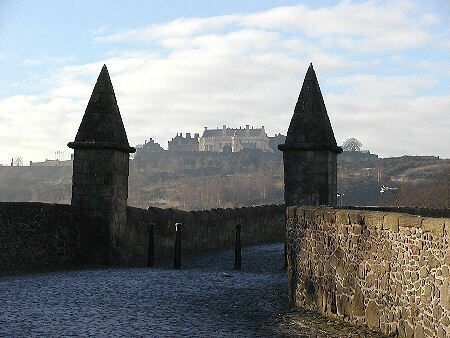 Marie made her main home Stirling Castle, ruling Scotland in close consultation with her brothers, Charles, Cardinal of Lorraine, and Francis, Duke of Guise. Henry VIII of England embarked on a series of savage attacks on Scotland, the rough wooing, designed to force the Scots to allow the infant Mary to be betrothed to Henry's young son Edward. In response the young Mary was sent to France and betrothed to the infant son of the new King Henri II of France, the Dauphin Francois. Meanwhile the French provided considerable military support to the Scots under Marie de Guise. Marie de Guise ruled Scotland well on behalf of her daughter through most of the 1550s. However, the forces of Protestantism were gathering strength by 1559, led by James Stewart, later 1st Earl of Moray, and Marie herself was increasingly ill with dropsy or edema. The Catholic Marie faced the Protestant Lords of the Congregation at Perth on 22 May 1559, but had to retreat to Edinburgh where, with the help of French troops she recaptured the city. The protestant Elizabeth I of England responded by blockading the River Forth in January 1560 and sporadic fighting continued until Marie's death in Edinburgh Castle on 11 June 1560. The Treaty of Edinburgh which followed Marie's death, in July 1560, provided for the withdrawal of all French and English forces. It also marked the start of the full force of the Reformation in Scotland, and the end of the "Auld Alliance" between Scotland and France. Marie de Guise was buried at the church in the Convent of Saint-Pierre in Reims, where Marie's sister Renée was the abbess.